Help fund Jamie's health trainer on Beam. Seeing the people I mentor trying to do something positive with their lives is amazing. For me, exercise was a big part of maintaining my strong recovery. So now, I want to help other vulnerable people get fit and healthy, so it can support their recovery too. Many years ago, my life was a complete mess. I got mixed up with the wrong crowd. I tried to get out, so I abandoned my house. I ended up living on the streets and was dealing with addiction. Life was bleak. I knew if I didn’t get help, I’d end up dead. Now, I'm lucky to have a new home, but I have housing debts. Having a stable job and income will allow me to clear the debts and end the eviction notices. This new training will open so many more doors for me. Through the mentoring, I've already got my Level 2 Award in Introduction to Counselling Skills. My goal now is to get a job working within the community and recovery services. I can’t wait to just work hard and be able to benefit the lives of lots of different people from lots of different backgrounds. Jamie is working with Beam as he is at risk of homelessness For personal reasons Jamie has chosen to use a pseudonym rather than his real name. 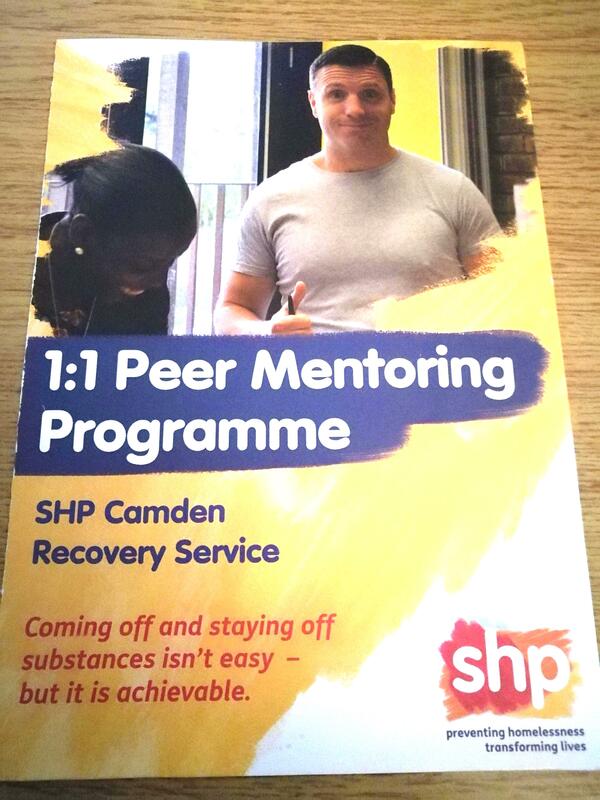 Single Homeless Project (SHP) are a London-wide charity working to prevent homelessness and help vulnerable and socially excluded people to transform their lives. They do this by providing support and accommodation, promoting wellbeing, enhancing opportunity, and being a voice for change.